Here's a new product line that I'm both excited about and feel a personal connection with. 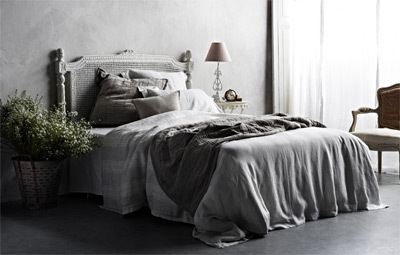 The lovely Country Style magazine is launching a line of branded homewares - the first being bed linen with KS Textiles. The pieces have been designed with Country Style editor Victoria Carey's close involvement and represent the stylish lifestyle and timeless design sensibilities of the magazine brand. I'm excited to see more Australian-designed textiles reaching the mass market, and really interested to see an Australian magazine branch into licensing their brand to homewares. When we lived in New York City, I contracted to Hearst Magazines to help manage the licensing of their Country Living magazine (and Cosmo, Cosmo Girl and Seventeen magazine) in exactly the same way. I even got to work with Amy Butler! I think the Country Style team are doing a great job creating a collection of bed linen that beautifully reflects the brand's values. I'm looking forward to seeing more homewares and am imagining an Anthropology-like range of ceramic knobs, modern-rustic dinnerware, wire kitchen products, wicker baskets and chic linens. What would you like to see? We'll have to wait and see what goodies are in store for us. 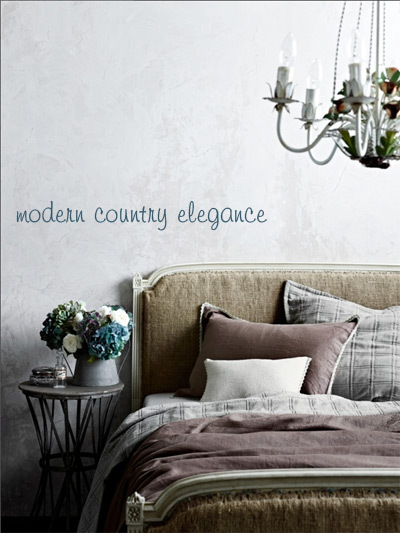 You can find the Country Style bed linen at Domayne online and in stores across Australia from 10th July 2012. 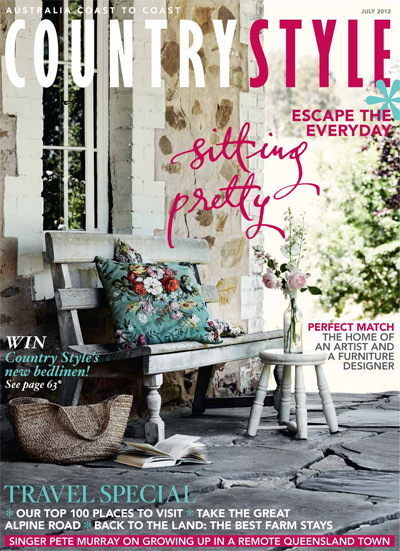 Check out the latest Country Style magazine for styling ideas for the new collection.